Arms & McGregor International Realty stands resolute as a prestigious real estate agency located in the throbbing heart of the real estate market also known as the emirate of Dubai. The company is led by a dynamic team of adequately experienced executives who are forever at your service to fulfill your property needs in the UAE. Address:Office No. 1901, Damac Smart Heights, Tecom, Dubai, UAE. 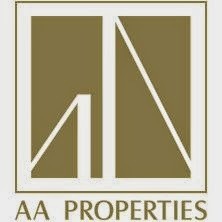 AA Properties LLC is a property brokerage firm in the real estate market of Dubai. We hold expertise in providing investment advisory, property rental service and property portfolio management service etc. Address: 34th Floor, Concord Tower, Media City, PO Box 126303, Dubai, UAE. With an established record of achievement and deliverance, haus & haus Real Estate Broker deals in sales, leasing and investment in Dubai. The company aims to maintain relationships with its clients on a friendly basis. It is a respectable and knowledgeable firm that seeks to ensure the best price and quality for clients through its team of Real Estate Regulatory Agency (RERA) qualified and certified brokers. haus & haus Real Estate Broker works on the terms of professionalism and understanding and plans to deliver the best while keeping in mind the needs and requirements of its customers. Address:Office No. 3207 & 3208, Building 3, Gold & Diamond Park, Dubai, UAE. We take pride and are yet humbled to be one of the leading independent property specialist in Dubai. Incorporated under UAE law and regulated by Dubai Government legislation, the company has Dedicated staff members chosen for their intimate knowledge of different aspects of the Dubai property market, giving you unbeatable local and international real estateexpertise. AAJ property gives buyers and sellers of property the ability to Buy, Sell and Rent fast. Our combined bricks and clicks model, internet portal, and professionalism buck real estate trends in Dubai to offer professional service on a faster, friendlier and more transparent level.AAJ Property Provide Variety, selection, and price, i.e., the widest selection of properties for purchase direct from sellers and owner representatives. Address:PO Box 115805, Dubai, UAE. Metropolitan Premium Properties is a renowned real estate company of Dubai that specialises in the sales and leasing of luxury and resort real estate in the emirate. The company takes immense pleasure in catering to the needs of its clients and providing them exceptional services in buying, selling, renting, property management and transaction support. Address: Office No. 1913, Al Manara Tower, Business Bay, PO Box 124585, Dubai, UAE. Luxury Homes LLC was set up in 2004 to help Gulf-based expatriates and overseas foreign nationals based outside the region purchase property in Dubai. Luxury Homes LLC is a British-run real estate brokerage licensed by the Dubai Department of Economic Development to carry out real estate broking and other property related activities. We are also RERA registered and Ejari-certified brokers operating under the Office RERA Number 529, permitted to legally conduct real estate transactions and property management services. We take the stress out of the property purchase process by sourcing properties that meets clients' objectives, both direct from developers and also from other agents on the secondary property sales market. Our goal is to provide an unrivalled professional and personal real estate advice service, for both local and overseas residents who wish to invest in Gulf-based property. Address: Office No. 308, Pinnacle Building, Al Barsha, PO Box 211640, Dubai, UAE. Exclusive Homes Real Estate Brokers LLC is a specialised real estate agency that provides services related to buying, selling and leasing of all commercial and residential properties in Dubai. The company also deals in property maintenance, cleaning services and relocations. Being a subsidiary of Al Shahra Services Group, the company has been conducting crystal clear property transactions since its inception in 1974. The company believes in providing all its customers with quality services that infuses dependability with every property deal they conduct. The brokerage claims distinction through its unwavering commitment to all its clients. 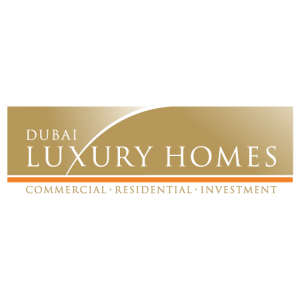 For the best real estate brokers in Dubai, contact Exclusive Homes today! experience in the European and Middle East realty sector. your property needs visit Propertyana Real Estate today! Address: Office No. 1201, Executive Heights, TECOM, Dubai, UAE. 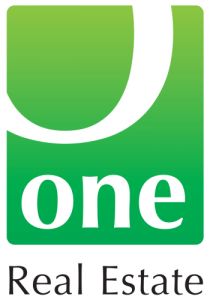 One Real Estate is a premium real estate brokerage company in Dubai. It was established by two British expats Gareth Pierce and Antonio Le Pore, both of whom have enough knacks to deal with matters related to the real estate. The company offers professional and pragmatic services to cater to the requirements of its clients and to serve them in the best way possible. We adhere to the latest regulatory frameworks employed in the realty market of the United Arab Emirates. We give primacy to the needs of our clients and tend to provide unparalleled customer care to them. We go extra miles to provide personalised services to address the requirements our diverse clientele. We believe in honesty, integrity, ethics, and last but not the least, we tend to remain transparent in our deals. Our focus is on freehold areas such as The Palm Jumeirah, Downtown Dubai, and Emirates Living. These are the areas where expats can buy properties. If you need our advice on property buying, selling or renting, our office on the Sheikh Zayed Road is a place you can visit and share your real estate matters with us to let us find you the best properties. Address: Office No. 75, 3rd floor, Oasis Center, Al Quoz 1, Sheikh Zayed Road, PO Box No. 391582, Dubai, UAE. Kendal & Co Real Estate is a prime and leading real estate brokerage company operating in the UAE realty market that needs no introduction. Our exceptional staff is trained to cater to the varying needs of our wide spread clientele from around the globe. Our professionalism has helped us to gain the trust of our clients which has in turn earned us an enviable reputation in the market. You will have to deal with us in order to truly understand that with our services, we offer excellence as well. Address: Office 2501, Boulevard Plaza Tower 1, Downtown Dubai, PO Box 391511, Dubai, UAE. Victory Homes real estate company, is operating in the UAE realty market, and specializes in buying, selling and leasing of residential properties. The company is led by a team of professionals who are ready to undertake every query of the prestigious clients. Whether you want to invest in a residential property to reside in, get rental yield or to gain maximum return on investment (ROI) in the long run, our professionals are ready to help you find the best investment and accommodation options. Step in or make a call to us whenever, you need our help. Address: Suite 3608, Citadel Tower, Business Bay, Dubai, UAE. Group Seven Properties LLC is a leading real estate management company in Dubai Property market. It offers a wide range of services in this field including property consultancy, residential sales, residential leases, commercial real estate, portfolio management and property management of both restricted and non-restricted freehold properties. We are one of the very few companies in Dubai having “triple” real estate license according to the Dubai Municipality Economic Department requirements and are registered with the RERA. We possess deep and profound knowledge about the local real estate market that leads us to have long-term relationships with our prestigious clients. Come and experience it yourself by working with us. Address: Emaar Business Park No. 4, 5th Floor, Office 507, Dubai, U.A.E. JK Properties is a division of the renowned Kleindienst Group, a dynamic real estate and property developer with more than 30 years global expertise in real estate and property development, with services covering all aspects of our clients’ property related requirements. Since our inception in the Gulf region in 2003, following on from the businesses real estate success in Europe, JK Properties have grown into the largest European Real Estate Company in Dubai and continue to excel, year after year. The JK Properties team is made up of multilingual, highly experienced professionals, dedicated to ensuring our client’s requirements are met time after time, through our extensive property sales and leasing portfolio and our tailor made property solutions. Our expert team is able to offer clients exclusive properties in the most coveted locations throughout Dubai, through close collaboration with the UAE’s biggest property developers such as EMAAR Properties and Nakheel. We pride ourselves in being Dubai’s most trusted partner for property investments. Our team combines decades of experience in the global property market to ensure customers continuously enjoy the very highest standards of service. When our clients choose to buy properties with us, we can guarantee them that they will be dealing with fully trained, dedicated Property Consultants that cover all the prime locations in Dubai, each of which are experts in their designated areas. 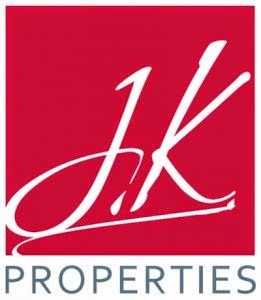 Whether our clients are looking to buy a family home, or are large scale investors looking to expand their property portfolio, JK Properties can help find the perfect property solution from our expansive portfolio of projects ranging from smaller apartments and large villas to buildings, plots and larger developments. At JK Properties we believe in finding our clients the perfect property. All of our Leasing Consultants have extensive knowledge on their specialized areas and are on hand to offer any knowledge in relation to the enquired properties, such as amenities, types of units available etc. As one of Dubai’s top real estate agents, JK Properties offer a fantastic portfolio of properties for all the hot spots in Dubai and the surrounding areas, with our team dedicated in helping you through the process every step of the way, from initial viewing through to key handover. To discuss your property requirements, please contact our team of trusted property consultants. Address: 20th Floor, Arenco Tower, Dubai Media City, PO Box 126732, Dubai, UAE. Binayah Real Estate has been active in the UAE real estate market since 2007 and has been active in both the leasehold as well as freehold market. Our core focus has always been on leasing of properties and we are active in leasing both villas and apartments in Mirdif, Nahda, AlBarsha, Deira, Dubai Marina, Jumeirah lakes towers, Palm Jumeirah, Springs, Meadows, Arabian Ranches and other freehold developments. Backed by a management and leasing team with a vast experience in the UAE real estate sector, we ensure that we offer the highest quality of services to the landlord as well as the tenants. Operating from our offices established in International City and an affiliate office in Al Barsha, our team of professional property consultants is spread across different areas of Dubai to ensure that we are always in reach of our clients. 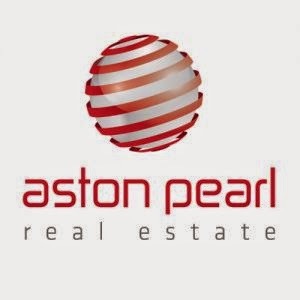 By continuously expanding our team and areas of operation, we strive to be one of the most reputed real estate agencies in the UAE in the years to come. 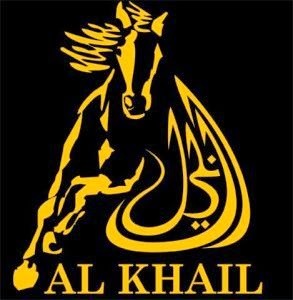 Al Khail has been operating in Dubai since 2006. The firm is committed to put its share in the growth of Dubai property sector through multiple high value investments in such projects that promise high capital return for its clients. We deal in freehold property sector and take pride in offering a wide range of real estate services to our clients. Al Khail is backed by a team of professionals and well-trained staff members who strive to provide top quality services to all of their prestigious clients. If you also need professional, informative and dedicated services in Dubai real estate industry, Al Khail is there for assistance. Address: PO Box No. 231401, Al Barsha, Dubai, U.A.E. Launched in September 2005, New World Vision Real Estate has established a significant niche for itself in the Dubai real estate market amongst a sea of brokerage companies. With a strong foundation and the company’s long term commitment to business growth and diversification, New World Vision has built strong alliances with strategic regional and international partners. With a comprehensive understanding of the local market, New World is placed at the forefront of identifying the best business opportunities in the real estate market. With our extensive market knowledge and experience, coupled with a dedicated and efficient team, we have created a solid platform providing ease of service to clients and a base from where we can launch our ambitious business development initiatives which we have planned for the near future. 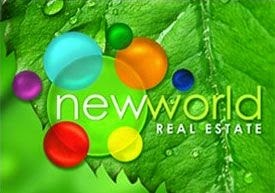 With fresh innovative ideas being transcribed on a daily basis, New World intends to drown market noise and emerge as the preferred broker; not through flashy tactics or pizzazz, rather through earnest, high quality and dedicated performance to the most important people in the market, the clients. Address: Unit No. 306, Building 4, Emaar Business Park, PO Box 48972, Dubai, UAE. We at Water Edge real estate is part of the group called "AL SHAHRA SERVICES CO. (LLC)" and the group had been established since 1974. Our operation spreads to real estate, painting, electrical, mechanical and property management. In Water Edge Real Estate our first priority is the outstanding client service that we deliver to our customers. Our property executives work closely with our valued customers to meet their requirements and fulfill their needs. Our expertise knowledge of the market will guide you through the complete real estate process from searching to purchasing or leasing of the property. The organization's core business philosophy is to believe in professionalism and customer service. Whether you are the first time tenant or a buyer, who is stepping up to your dream home then "Water Edge Real Estate" is a great place to begin the process. Address: Office 115, Al-Futtaim Business Centre Between Al Futtaim Motors and New Oasis Centre Sheikh Zayed Road, Dubai, UAE. Rustar Real Estate is a privately held, full service real estate firm located in Dubai. Since its inception in 2003 it has secured itself a leading position in the Dubai real estate market, with an exclusive guarantee that you will always receive Service, Trust, Accessibility and Results from everyone in the organization. Rustar real estate has always been committed to providing superior customer service and an unwavering dedication to the satisfaction of customers. The hall mark of the company is that it proactively seeks to improve quality, value and service by paying attention to even small details so it can present customers with hassle free commercial and residential properties, which are hard to find in a fiercely competitive real estate market like ours. Our range of service is not limited to finding the right property for you we also offer premium service in Interior designs for your perfect home, mortgage financing, after sale service and resale of the property. Multi-cultured, well educated, and extremely knowledgeable, our agents possess valuable competitive edge in identifying the best investment opportunities that perfectly address the demands of our elite customers. For developers we offer unique channel to expose developments to our ever growing base of investors. For brokers we are always looking for new partnership and for investors, we can help you in making the most profit for your money. Address: 412, Pinnacle Building, Al Barsha 1, Dubai, U.A.E. Being a group of young professionals, with quality class higher education, we have seen and experienced the growth in the UAE property market as an infant entering the world and flourishing into one of the most dynamic and rapidly growing industries in the world. Our mission statement can be best described in three simple words- 'Customer Is King', with the aim of ensuring maximum consumer satisfaction. 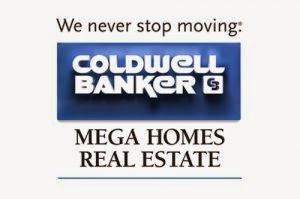 Coldwell Banker Mega Homes Real Estate represents the UAE franchise operation for this globally renowned real estate brand. Since 1906 Coldwell Banker has pioneered in providing professional property consultancy services. Coldwell Banker was founded in 1906 on a commitment to professionalism and customer service that remains the core of our business philosophy. With over 3600 offices and 126,000 Sales Associates worldwide it secures its title as being one of the largest global real estate organizations. To further showcase the strength of this network, Coldwell Banker is under Realogy Corporation which holds several world-renowned brands and business units including Century 21®, Coldwell Banker®, Coldwell Banker Commercial®, The Corcoran Group®, ERA®, Sotheby's International Realty®, NRT Incorporated, Cartus and Title Resource Group. Address: Office 2804, Citadel Tower, Business Bay, PO Box 73618, Dubai, U.A.E. Prestige Real Estate prides itself in providing the best properties and most satisfying real estate services in the UAE. The company offers personal attention and specialist knowledge to all its esteemed customers and works hard in building trust through transparency in all of its dealings as a company. Prestige Real Estate stands to be an established supplier of the top class corporate, residential and leisure developments in the United Arab Emirates. The renowned company pursues its distinction in two points, Personal and Exclusive, and it is these two points on which its whole philosophy of the company is based. With its well-earned solid reputation, the company stands resolute in being a market leader in the real estate industry of UAE. Address: Office 1603, Marina Plaza, Dubai Marina, Dubai, UAE. Core Real Estate operates a wide range of property advisory services from Residential sales and leasing, Commercial sales and leasing, International property sales, valuations and market research. Headquartered conveniently in Emaar Square, Downtown Dubai, with an additional office in JLT Dubai freezone, Core have a team of dedicated multilingual consultants, who are able to draw on years of extensive market experience and research in order to gain a detailed understanding of our client’s needs. Our experts combine a comprehensive knowledge of specialist property sectors with a focus on exceptional client care at all times, helping you to gain access to a wide range of Properties in Dubai and across the globe. Core Real Estate are able to offer tailor made Commercial advice across the board from small to medium sized businesses, family offices, multinational corporations to government entities. Our residential consultants provide services designed to guide you through both national and international buying processes and seek to maximize the value of your asset on all transactions. As your local Dubai real estate broker we are dedicated to helping you find a property in Dubai by keeping you informed throughout your search. Whether you are looking for Residential, International or Commercial property, Core Real Estate has access to a huge range of luxury properties both locally and internationally through our global connections. Please contact us to learn more about our extensive portfolio and property services. Address: Ground Floor, Building 6, Emaar Square, Downtown Burj Khalifa, PO Box 71146, Dubai, UAE. 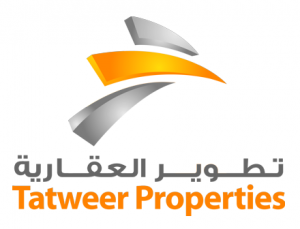 Tatweer Properties is a professional Brokerage, Sales, Leasing and Property Management Company that caters to every kind of Abu Dhabi real estate related needs. The company focuses on leading areas and prime properties in Abu Dhabi so that you can reap maximum profit from your investment. The company possesses a team of real estate professionals who incorporate strategic and systematic approach to get consistent results for clients. The company provides accurate and up to date information about market happenings to its clients so that they can take well-informed decision regarding investment. Address: 14th Floor, SJ Tower, Airport Road, PO Box 48080, Abu Dhabi, UAE. GIG Real Estate is the fastest growing Real Estate brokerage and advisory service firm in Dubai, duly registered with Dubai Real Estate Regulatory Agency and Department of Economic Development. In GIG Real Estate we have a strong focus on our professional standards. We are committed to providing a high standard of customer service in a rapid and result oriented fashion and to providing you an experience to remember. Consequently the agents we employ are expected to follow a business methodology which demands exceptional honesty, stringent code of business conduct and total transparency to the client. The directors and sales staff at GIG Real Estate represent a wealth of local real estate experience. With over 40 years of experience gained in the local and regional real estate markets, we developed a refined formula that has resulted in a highly satisfied client base to which we can refer potential buyers and vendors without qualm. The management of the company prides itself on the investment made into grass-roots of human resource via in-depth training, product knowledge acquisition and personal development programs. This aspect ensures that our clients are able to conduct their business with the best property consultants in the UAE property market. The key objective at GIG Real Estate is to be a one stop service center that caters to all types of property related transactions and to deliver levels of service well above prevailing industry benchmarks. 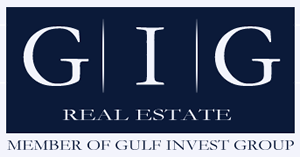 Regardless of whether you fall onto the category of investor, developer or end user in the United Arab Emirates, GIG Real Estate possesses the experience, time and inherent integrity in order to offer you sage and pragmatic guidance toward securing your next investment or new home in a rapidly changing property market. Address: Office 1105, Damac Smart Heights, Tecom, Dubai, UAE. Hunt and Harris is a brokerage firm in the real estate market of the UAE. Our focus is primarily on the real estate sectors of Dubai, Abu Dhabi and Ras Al Khaimah. We are committed to provide straightforward, honest and professional services to our clients. We work with modern imaginative approach. We concentrate on the development of long term relations with our clients and we pay due regard to customer satisfaction. We accredit our experience in the real estate sector as our wealth. We provide property selling, buying and renting services. Moreover, we also assist our clients in property management. Address: Office No. 806, 8th Floor, Sidra Tower, Sheikh Zayed Road, PO Box 450613, Dubai, UAE. Driven Properties is a property development, investment and consultancy company, offering dependable services in the Middle East. The company also functions as a property brokerage and offers innovative and customized property solutions to its national and international customers. 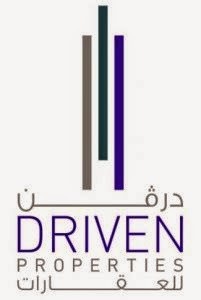 Featuring veteran experience in the real estate of the Middle East, the professionals of Driven Properties are also operating in the prime locations of Dubai. The company deals in the buying, selling and leasing of all property options in the emirate. For all your property needs visit Driven Properties today! Address: Office No. 909 & 910, Clover Bay Tower, Business Bay, Dubai, UAE. Pennington is an emerging trendsetter in the real estate market of the Middle East, specializing in the cutting-edge and investor-friendly business hub of Dubai, UAE. Our forward-thinking business practices and insights into the multicultural community of Dubai help us cater to our clients with ease and efficiency. Our diverse team, comprising of seasoned and certified professionals, has a proven track record of meeting client requirements to the fullest. Address: Office No. 503, Arenco Tower, Dubai Media City, Dubai, UAE.